Yeah, it surely isn't the latest smartphone around the block and might not have the hardware under the hood compared to some of the really high-end models around, but the Palm Pre Plus from Verizon is a bargain for what you get. On the software end, the platform still lays claim to some decent applications that should suffice the needs of most users. Big Red recently dropped its price all the way down to free on-contract, making it one of the most affordable smartphones available on the market right now. 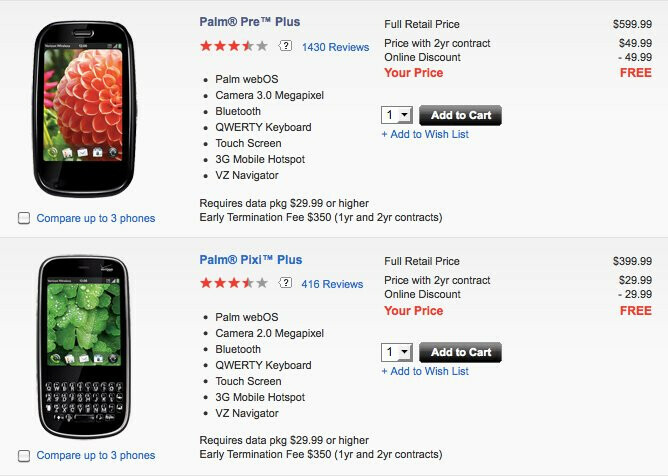 Naturally, this move indicates Verizon's intentions on phasing out the webOS powered device, alongside the Palm Pixi Plus, by the end of next month. Throw in the fact that the handset has the capability of being a mini Mi-Fi, it makes for an additional compelling argument to its overall bargain appearance. "bargain appearance"?? this is the only phone anywhere that give you the ability to share wifi internet access with up to 5 devices for free without having to jail break your phone. I would said that in itself make it a great deal. By the way only verizon does that in case you want to contact sprint or att, just to be clear. And yes I do own 2 of them, and i did cancelled my landline internet service. It all depends on what you do online. You do get an alowance of 5 gig per months, and I would venture to guess most people that come to phone arena need a lot more than that, but there is a segment of the population that would end up saving money.